First Team Basketball Price Match PLUS! We will not only price match any other competing vendor, we will BEAT their price. If you give us the chance to earn your business you will find out why we can offer you the lowest price available online. We not only offer you the lowest price we offer you the best customer service in the industry. Call 1.800.878.7829 and get a better price! Please Note: That our price match if for First Team Inc. basketball systems only. 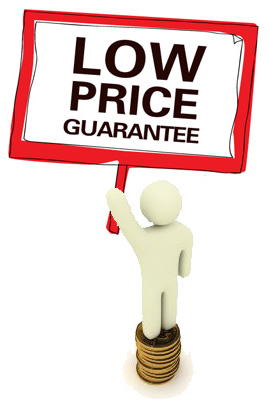 In order to qualify for the price match guarantee you need to provide Discount Fence Supply, Inc. with proof of lower pricing. The quote must also include shipping, because Discount Fence Supply, Inc. does not charge its customers to ship their basketball systems. We don't want you to pay anymore than you have to.... so we want to save you money any way we can by giving you the lowest price avilable on all First Team Basketball Systems. Don't get caught up with other companies offering you the lowest price, give us a chance to prove to you that we have the lowest price!